When you contact us, we need to know your company name, personal name, e-mail address, contact address, phone number and reason for contact. This allows us to process and fulfil your quote / order. We also ask for your telephone number which enables us to contact you if there is a problem with your quote / order. When you place a quote / order we use a secure server, the secure server software (SSL) encrypts all information you input before it is sent to us. De-Signs Signs & Graphics Centre Ltd database and website CMS is protected by encrypted passwords this prevents unauthorised access to our system. Cookies are small pieces of information that are stored by your browser on your computer’s hard drive. Our cookies do not contain any personally identifying information and are used to retain information during a single visit only. Most Web browsers automatically accept cookies, but you can usually change your browser to prevent that. In line with the latest UK legislation, you will be given the option to accept or reject cookies when you visit our website. Please note that some functionality may not work as expected if you choose to reject the cookies. We will never disclose your information to anyone outside of De-Signs Signs & Graphics Centre Ltd except where we have your consent; where we are required or permitted to do so by law; to other companies who provide a service to us. 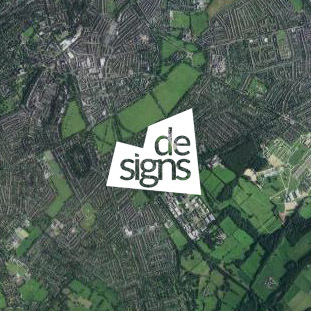 De-Signs Signs & Graphics Centre Ltd welcomes your questions and comments about privacy. Please contact us using the contact form page. Please note cookies cannot be used to identify you personally. 1.5 In this policy, “we”, “us” and “our” refer to De-Signs Signs & Graphics Centre Ltd Data Controller. For more information about us, see Section 9. 5.1 In this Section 5, we provide information about the circumstances in which your personal data will be transferred to our data centres within the European Economic Area (EEA). 5.2 The hosting facilities for our website are situated in the UK. The European Commission has made an “adequacy decision” with respect to the data protection laws of this country. The transfer of data to our data centre will be protected by appropriate safeguards, namely the use of standard data protection clauses adopted or approved by the European Commission, a copy of which you can obtain from https://ec.europa.eu/info/law/law-topic/data-protection_en. 5.3 Website developers are situated in the UK. The European Commission has made an “adequacy decision” with respect to the data protection laws of this country. The transfer of data to our data centre will be protected by appropriate safeguards, namely the use of standard data protection clauses adopted or approved by the European Commission, a copy of which you can obtain from https://ec.europa.eu/info/law/law-topic/data-protection_en. 7.1 A personal data breach means a breach of security leading to the accidental or unlawful destruction, loss, alteration, unauthorised disclosure of, or access to, personal data. 7.2 We will notify the ICO of a breach unless it is unlikely to result in a risk to the rights and freedoms of individuals. Where a breach is likely to result in a high risk to the rights and freedoms of individuals, we will notify those concerned directly and without undue delay. 7.3 We will report a notifiable breach to the ICO without undue delay, but not later than 72 hours after becoming aware of it. 10.1 This website is owned and operated by De-Signs Signs & Graphics Centre Ltd.
10.2 We are registered in England and Wales under registration number 4933857, and our registered office is at De-Signs Signs &Graphics Centre Ltd, Sceptre House, Hornbeam Park, HG2 8PD. 10.3 Our principal place of business is at our registered office above. (d) by email, using the email address published on our website from time to time https://designsharrogate.co.uk/contact-us. 11.1 Our data protection officer’s contact details are: Mark Deighton at the registered office above.